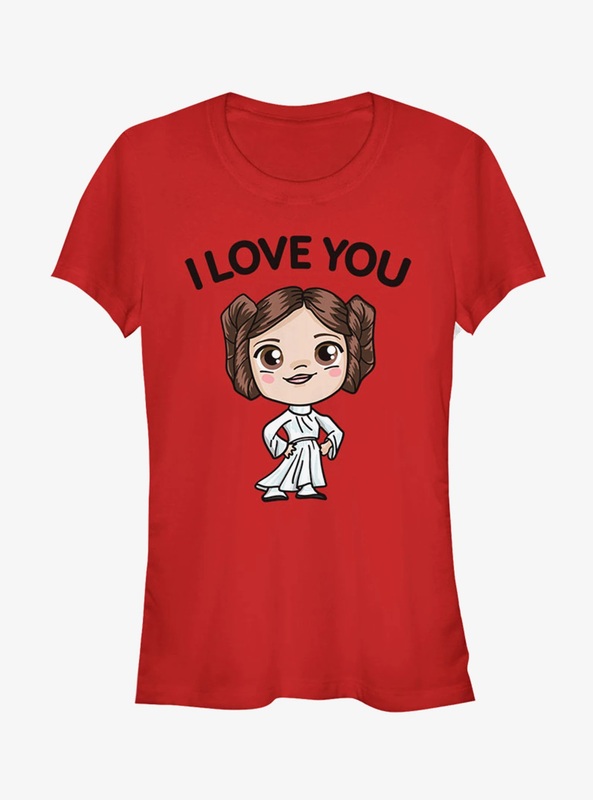 This women’s Star Wars Chibi Princess Leia ‘I Love You’ t-shirt is available at Hot Topic. 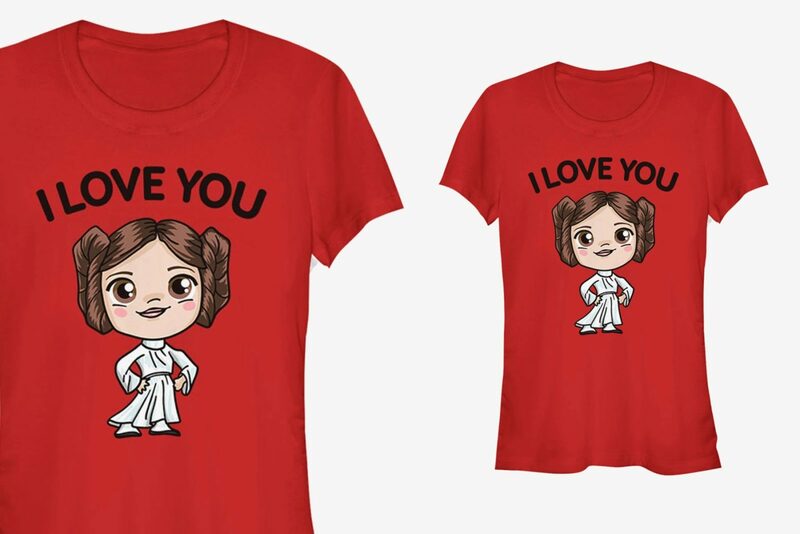 Made from 100% cotton, the red t-shirt features a front print of Princess Leia in ‘chibi’ style artwork, along with the text ‘I Love You’. 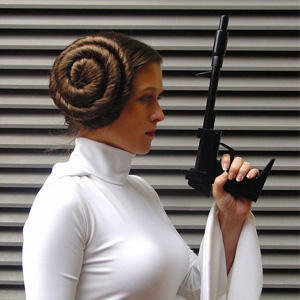 The matching men’s Han Solo ‘I Know’ t-shirt is also available at Hot Topic. Available in sizes S to 2XL, the t-shirt is priced at US$24.90 to US$26.90 each (depending on size) – Hot Topic can ship internationally.